Do you need to start running payroll? Do-it-yourself payroll websites demand too much of your time and create many unexpected headaches – including large penalties. On the other end, the “employee/HR solution” companies are extremely expensive and you have to commit to long-term contracts and large set-up fees. All you have to do is enter employee hours – it will take only seconds of your time each payday. We file all of your payroll tax returns, make your payroll tax deposits, and take care of your payroll bookkeeping. 1) Just tell us that you are ready to hire, we will guide you through the data needed from your new employees – it’s easy. 3 ) That’s it. We do everything else. Click here to contact us now with any questions or to get set up! Tod A Marcus, EA – your dedicated payroll specialist – contact Tod today! Modern and professional payroll tax services from an experienced local EA (Tod A Marcus). Personal and local service with the expertise and technology of the big payroll corporations. 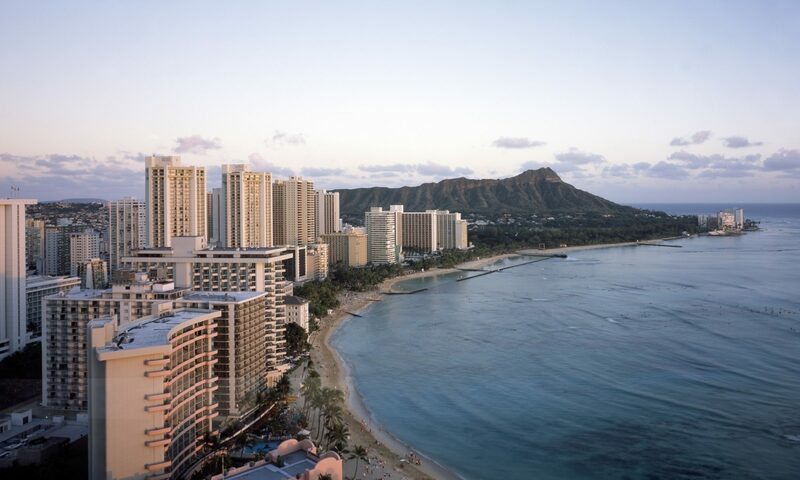 Hiring employees and setting up payroll in Hawaii does not have to be expensive or difficult – nor should you as a business owner have to worry too much about it. Payroll Services Oahu manages and guides you swiftly through the process and makes sure you stay compliant, all at a discounted price. Are you confused with what you have to do to hire and play employees in Hawaii? No problem. We will help get everything all set up for you. Our goal is to give you great client service with the least hassle. We utilize the latest in modern payroll software, meaning streamlined payment of your employees, tax return filings, and deposits of withholding and other taxes. Your employees get modern features such as an automatic direct deposit on payday. We manage different pay rates, bonuses, and overtime for your employees with ease. At the end of the year we send to each of your employees their Form W2 and complete the additional necessary tax returns that need to be filed with the IRS. Everything is E-filed – we take care of all of it and let you know that it’s done. Did you know that the penalties and fees for not filing your payroll tax returns or depositing taxes on time can be enormous? This is one area where you don’t want to be late. Why hassle with the extra expense? These things are what a good payroll service takes care of for their small business clients. Even more importantly, I stay as paperless as possible, meaning less work for you. I file all of the required tax returns electronically (at least all of the one’s eligible for e-file). I’ll even get your federal and Hawaii State tax deposits set up to go by wire, when required. “Back in the day” when everything was computed and delivered by hand, payroll tax services would cost you an arm and a leg. Even if you only have a couple of employees. Over the years it seems like these prices never went down as the automation involved increased – and therefore we think most payroll services charge too much. We offer deep discounted full service payroll, with the customer service of the old days and the speed and efficiency of the computer age. If you are just starting out with hiring employees it is likely that you do not have too much extra money hanging around. This is why my pricing structure is set up to reward the newly hiring small business instead of penalizing them. We can also bundle together all of your accounting and tax needs at all levels instead of having someone “nickel and dime” you for every little thing that you need. This guide is an introduction to running payroll in Hawaii and what it entails. Start here. Should you get your under the table employees on the books? Still paying your employees in cash? While this used to be commonplace, modern electronics have made this a very risky practice. If you are paying employees under-the-books, please read this page. Many new business owners are confused on how to take their own profits. Here’s a beginner’s guide. This guide explains the Hawaii Unemployment Insurance system – which is also known as state unemployment tax (or SUTA). Many potential employers are not sure about how much payroll will cost and how much impact payroll will have on their budget. This article helps to answer that question. If you are running a profitable s corporation, it is very likely that you are required to run payroll and pay yourself a reasonable salary. With tax deposits, payroll tax returns, and payroll bookkeeping, payroll compliance can be a bit technical. Running payroll, however, meets the s corporation requirement and it also creates a tax planning advantage to the owner/operators. If you think you might want to hire us to help with your payroll or other tax services, please contact us here. Our email is taxservicesoahu@gmail.com and our phone number is 808-744-5314. Aloha. Sharing is caring. If you like our services, please help us out and share our website on Facebook. We appreciate that, mahalo.